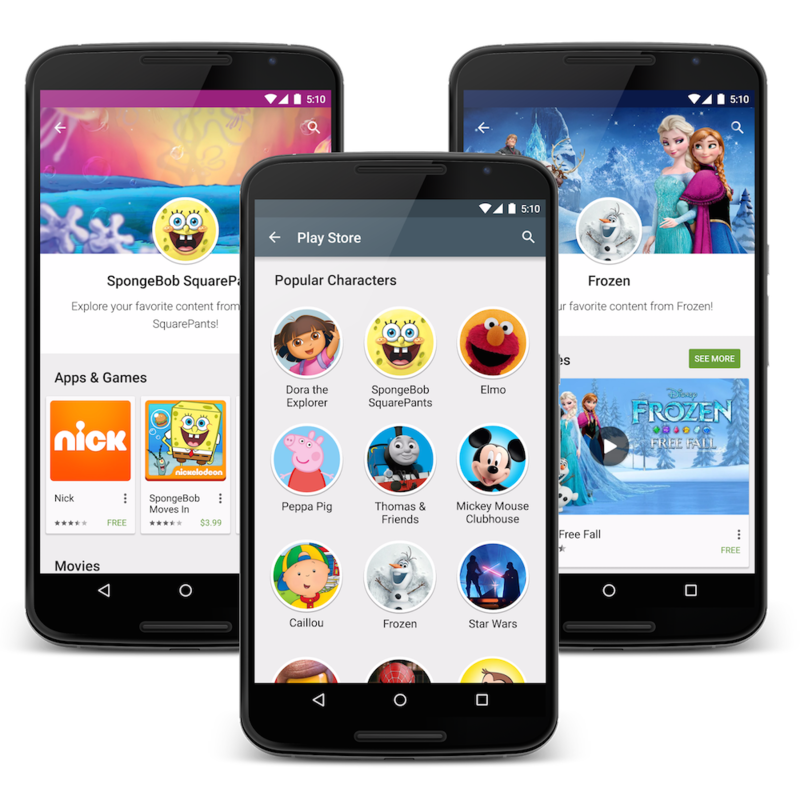 Rumored about two weeks beforehand, then officially unveiled yesterday morning during the Google I/O keynote, Google’s family-focused section of Google Play is now rolling out to handsets. The all-new Family sections highlight specific apps and games intended for kids and families, but does not stop at just apps. 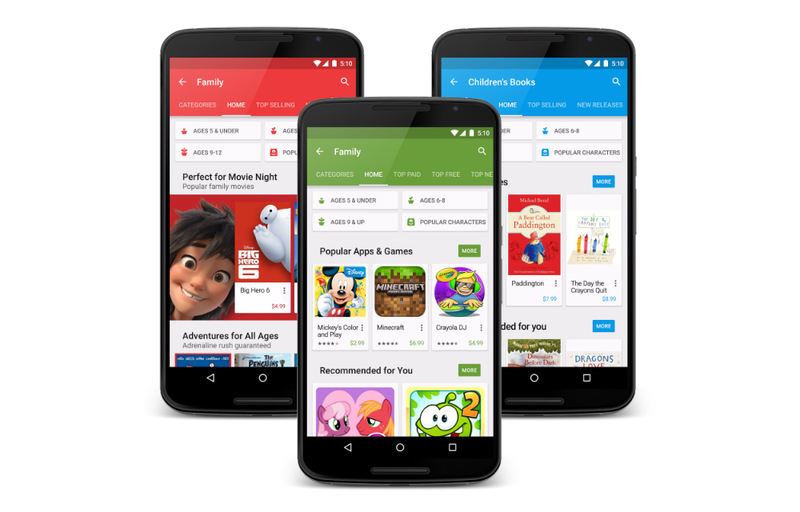 The three sections of Google Play with dedicated Family categories are Apps, Games, and Movies & TV. In addition, the next time your child wants to buy a season of SpongeBob Squarepants, it should be a bit easier for them to find. Instead of searching by show, your child can search by character, allowing them to find content focused on who they love. For example, if they click on Elmo, they will find games and TV shows with Elmo. Other characters include Dora the Explorer, Peppa Pig, Thomas, and even Star Wars characters. Google states these changes will roll out to Google Play over the next couple of weeks. If you don’t see the Family section live in you Google Play app just yet, click here to view a curated list of apps you can expect to find highlighted.